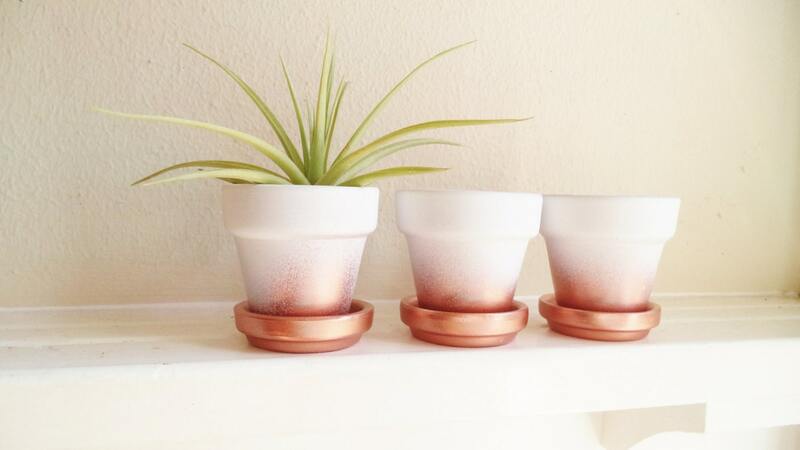 This listing is for a set of 3 mini terracotta pots....made fresh in a white/ copper ombre finish! see options and message me for other requests. Perfect for wedding décor and favors! 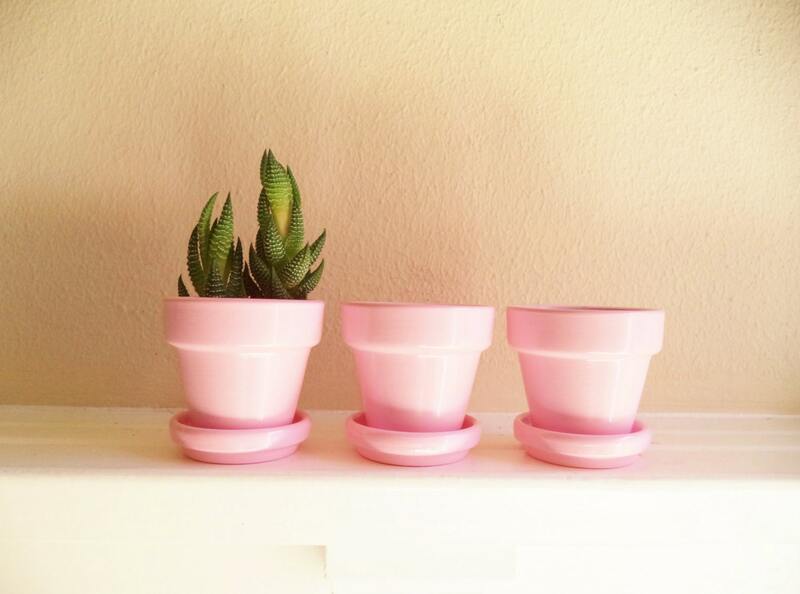 Each planter shown measures 2" x 2" These are standard 2" pots, suitable to 2" plants. NO larger. 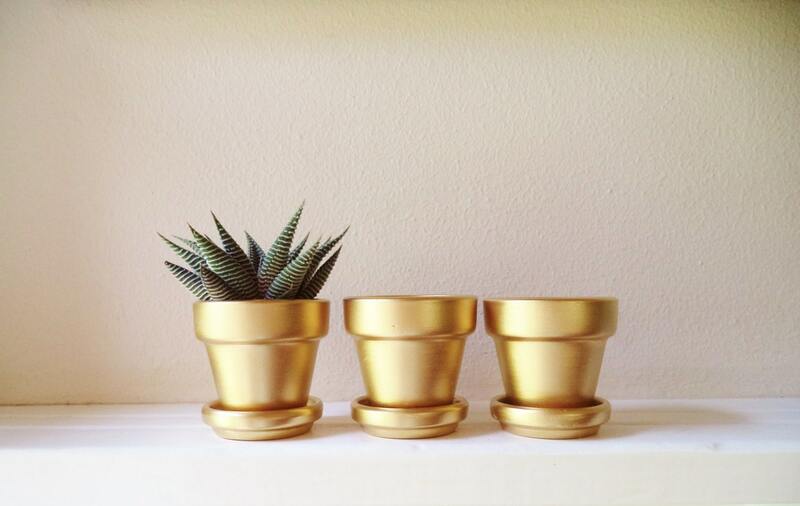 Perfect size for small succulents, air plants, herbs, seedlings, or use them for a modern centerpiece, wedding favors, ect. These do have hole in the bottom, so order them with the plates if you need them! Please feel free to send me any questions at all. See my shop for more handmade home accents and gift ideas! Extremely late shipping. When I received these pots are so tiny I can’t even use them. Insane how bad of a deal this is. If you want your product on time and if you want a product you can use, don’t buy from this seller! The only thing about them that accurately advertised is the color. And the color alone. 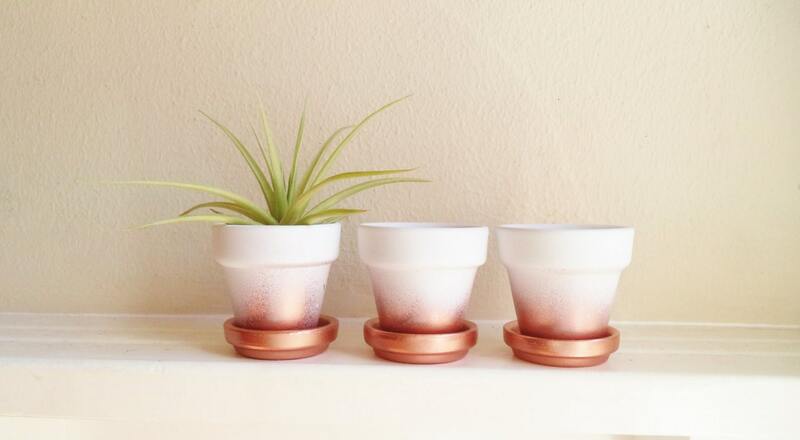 These little pots are adorable! A good quality product and the ombre painting is perfect. Highly recommended shop. These are so cute! The ombre is perfect. My tiny succulents look so cute in them! Very well made and packaged very safely! I am beyond happy with my purchase and will be back for more!